We won’t be holding the artist retreat for 2017 due to family commitments, but will be back in future years! 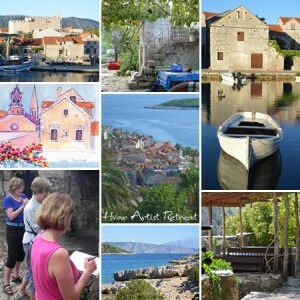 In the meantime, artists are still encouraged to visit the island, and enjoy their individual painting retreats. The island of Hvar lies in the clear blue Adriatic Sea between Split and Dubrovnik, and has been popular with travellers for over 2,000 years! Within a very short distance can be found quiet coves, medieval towns, deserted villages, mountains, pine forests, vineyards, olive groves, lavender fields and much, much more! 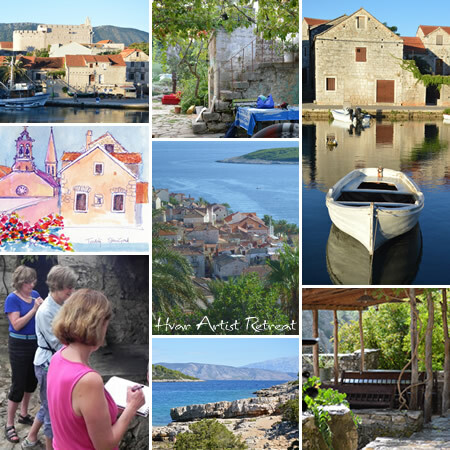 Read Go Hvar for our latest ramblings about this delightful island.